Going wrong has never been so right! Tickets are now on sale for the national tour of The Play That Goes Wrong in Boston. The traveling production of this new, gut-busting comedy will open November 7 at the Emerson Colonial Theatre and run through November 18. The time is right to see The Play That Goes Wrong, Broadway’s funniest and longest-running play! This Olivier Award-winning comedy is a hilarious hybrid of Monty Python and Sherlock Holmes. Welcome to opening night of The Murder at Haversham Manor where things are quickly going from bad to utterly disastrous. With an unconscious leading lady, a corpse that can’t play dead and actors who trip over everything (including their lines), this is a classic murder mystery turned upside down. 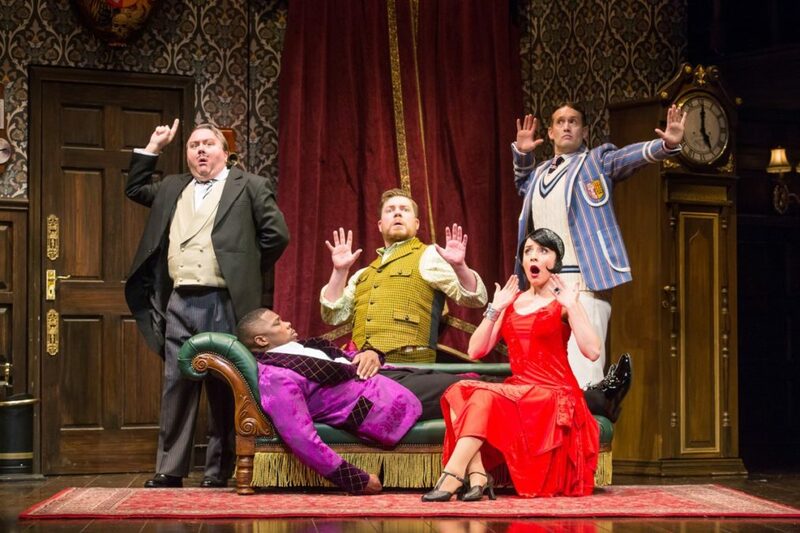 Written by Mischief Theatre Company members Henry Lewis, Jonathan Sayer and Henry Shields, The Play That Goes Wrong features direction by Mark Bell, original music by Rob Falconer and scenic design by Nigel Hook. The touring cast features Scott Cote as Dennis, Peyton Crim as Robert, Brandon J. Ellis as Trevor, Angela Grovey as Annie, Ned Noyes as Max, Jamie Ann Romero as Sandra, Evan Alexander Smith as Chris and Yaegel T. Welch as Jonathan. Don’t miss your chance to see this farcical mystery; buy your tickets today!